I’m back from Hawaii(I know, tough life) — Canon had us out there for the launch of their EOS R full-frame mirrorless camera, and we were able to broadcast a live episode of ‘The Grid’ that morning after the announcement. Q. What was the vibe from the other journalists at the launch? A. When we’re all sitting around the bar, far out of Canon’s earshot, everyone I talked to there liked the camera quite a bit. I think a lot of folks were pleasantly surprised (myself included). In this group were, of course, some serious tech nerds who had their “I wish Canon had added this…” or “Why doesn’t it have that…” but none of it was major missing stuff. One thing everybody seemed to be in love with across the board were the new RF-mount lenses. I didn’t hear anything but serious love for them. Q. But what about the harsh reviews online? A. You mean, the ones from people who have never touched the camera; never taken a shot with it, never seen a print from it, and never even held it up to their eye? Just like with any other camera release (Canon or otherwise), I pretty much ignore those. I did get in-person reviews from two top pros I really respect; two working professionals who shot the camera in multiple situations; had prints made, and actually know what it can do. My friends and colleagues Lindsay Alder and Joel Grimes both had great things to share with me about shooting with the camera, and killer images to back it up. That speaks way more to me than some tech nerd pixel-peepers comparing a list of features and specs. The image quality we see with our eyes will always beat the results of pixels measured on some oscilloscope. Lab tests can’t measure a quality — that certain something that makes an image look “just so.” The combination of this camera, with these RF lenses, has its own look, and it’s beautiful. Q. So which is more important, how the specs look on paper, or how the images from the camera look? Q. The lens control ring. Gimmick or gold? A. Absolute gold! When I heard about it (in a training class shortly after the launch), I thought it sounded really cool. Once you use it, you’ll fall in love with it. It’s highly customizable, so I assigned mine to exposure compensation, and I gotta tell you, it’s way better than it sounds. Q. This is a mirrorless camera, so it’s smaller and lighter, right? A. It’s a little smaller, a little lighter, but once you put a decent lens on it, it weighs about the same as a DSLR. I don’t think this camera was about being small and light at all. I think it’s about starting an evolution of where Canon is going in the future, and this is the first step of a long journey. I know that for some folks, smaller and lighter is the most important feature any mirrorless can bring, but I don’t think that’s how Canon sees the future of Mirrorless. In the big picture, I think they see it replacing mirror-based cameras altogether at some point (just my opinion) and while smaller and lighter may be a side benefit, in some of their bodies; I don’t think that’s where their focus is. In short: I think you’re going to see big ol’ cameras going mirrorless in the near future. Q. But I wanted something really small and lightweight. A. If that’s your main concern, then get the Canon Rebel SL2 DSLR. It’s doesn’t even weigh 1-pound, yet it has 24-megapixels; it has a touchscreen, and it’s got a full tilt and a flip-out screen; it has an external microphone input, built-in flash, Wi-Fi, NFC, and Bluetooth built-in; it shoots 5-frames-per second, and it’s only $550. It’s why I crack up when people tell me “they switched to Mirrorless because they wanted a small, lightweight body” and then they buy a camera that costs five times as much and weighs 50% more than the SL2, and when you add a decent lens to their $3,000 body it virtually weighs the same as a big DSLR anyway. Q. Wow, you’re making a pretty good case for the Rebel SR2. Should I get one? A. Hell, no! I mean, “It’s probably a great beginner camera, with a lot of features you wouldn’t expect to get on a $550 super small, super lightweight DSLR.” There, that’s better. But don’t get it. It’s not for you. Q. How does the new EOS R feel? A. Just like a DSLR. How a camera feels in your hands is really important to me, and it feels better than I was expecting. They crushed it on the ergonomics. Q. What about the build? A. Really, really good. I think it’s a magnesium alloy body, and it feels like you could drop it, pick it back up, and keep shooting without missing a beat. Really solid feel. Fairly weather sealed, too. Q. How many cards slots does it have? A. One. It’s an SD slot, but it also supports the UHS-II SD cards. Q. How can they call it a pro-body if it only has one card slot? A. I asked Canon that question live on the air. Their answer was “It’s not a pro body.” They said it was aimed at serious amateur shooters, so it’s essentially a consumer body (which is one reason why it only has one slot) — their pro body is the Canon EOS 1Dx Mark II, and yes it has two slots. That being said, a lot of pros will wind up shooting with this body. Q. But I can’t live with just one card slot? A. You do realize that most of the cameras Nikon, Sony and Canon all make only have one card slot? I’m just curious, what did you do before cameras had two cards slots? Did you just not shoot back then? (by the way, the Sony mirrorless just got two card slots about a year ago — it wasn’t born with two. Q. But everybody’s talking about the one card slot thing. It started with Nikon’s Z7 mirrorless when we learned it had just one card shot, now Canon’s mirrorless, too. I think I need to get on board with this ‘slot shaming’ thing, right? A. Or, maybe you need to buy better quality memory cards. I shoot on Lexar memory cards, and in my entire career I’ve only had three cards go bad total (none of them SD, and only one a Lexar), and I was able to recover the images from all three cards. People used to be concerned about dynamic range, and megapixels, and how the images looked, and stuff like that, but now it appears the only measure of whether a camera is good or not, is whether it has two card slots. This is a weird time we live in. Q. Why do you think Canon went with SD cards instead of something faster like Nikon did with the XQD cards? A. I’m not certain, but I for one am glad they didn’t go the XQD route, strictly because of price. You can get a 1000-speed Lexar 32GB SD card for around $27 a card (B&H has them two for $54.99). If you want a 32GB XQD card, just one will run you around $90 (B&H). Ouch! Q. The touchpad (above with arrows) on the back of the camera: Gimmick or Gold? A. They struck gold again with this one. You can assign so many things to it (up to three), it really is incredibly handy. Anytime I can keep from searching under a menu for something, it’s a win. It takes a little getting used to at first, but once you do, you’ll wonder how you lived without it. Q. Are there other features that stand out to you? A. They told us it’s important to turn off the camera before changing lenses. Why is it so important? Because when you do that, a little door comes down and blocks the sensor from getting dust and junk in it. Don’t know why it’s taken all this time for someone to come up with that, but it’s pretty clever. Also, it’s fairly weather-sealed (at the level of a 6D Mark II, not the level of a 1Dx, but still). Also, the viewfinder is very crisp. I’m still an optical guy, but this is the best I’ve seen, and you can really control what you choose to see and how it’s displayed. Q. Is there in-body Image Stabilization? A. There is not. I asked Canon about it (also during that live poolside episode of The Grid), and they said they made the decision not to because while in-body works fine for wide angle shots, it doesn’t work nearly as well for long lenses, so they kept it in the lenses instead. Q. I can’t believe that this camera doesn’t have every single feature I ever wanted it a full-frame mirrorless camera. Why would I buy it? A. Maybe it’s not for you. Not every new camera that comes out has a feature set that was aimed squarely at you. That’s why camera companies make more than one camera body, with different features, for different people. If this camera’s not for you, it’s not the end of the world — you just probably need to look at a different camera. Q. What are your seven favorite features? (5) the amazing level of customization — you can configure the buttons and knobs in so many ways — making it feel like it was made just for you. (6) You can set your focus point with your eye still on the viewfinder by just touching the touchscreen with your fingers (kind of like you’d do in Live View mode, but while your eye is still on the viewfinder). You can have it work with half the screen (which is what I set mine to), or you can use the full screen. Q. What do you wish were different? A. I wish it shot more frames per second (I know, I’m the only one talking about this, but only because everyone else is so busy ‘Slot Shaming’). It’s got the best Electronic Viewfinder I’ve seen (and I’ve tried quite a few), but I still prefer optical viewfinders. That will change one day, and I’m going to work on getting used to this one (and I’m sure I will), but it’ll take me some time. I haven’t tested the low noise capabilities yet, but with a similar sensor to the 5D Mark IV, I imagine it won’t be noticeably better (I could be wrong, but haven’t read anything raving about lower noise, so I’m guessing no). So, I would have loved one of the features to be 1Dx-style low noise. It’s like the latest cameras from Sony, and Nikon — they all have something missing; some Achilles heel, that keeps it from being the perfect camera for everyone on earth, but in reality, it’s really all about what matters to you. For example, I don’t use my DSLR to shoot video, so whether it has this kind of 4K or some video fps rating or whatever, it simply doesn’t matter to me, but for some folks, that’s all that matters. Q. Are the new RF-mount lenses as good as people are saying? A. They are very sharp and crisp, all the way to the edges, but I think focusing on the sharpness is missing what makes these lenses so special. The combination of this body with these lenses create images that have a certain something. It’s hard to define, but I really like what I see. This is the kind of stuff you can’t measure on a spec sheet — how the images from the camera and lenses really look. Q. Is there a loss of quality if you use the Adapter to use your existing Canon EF lenses? A. Nope — no loss of quality at all. No losing stops of light either (been asked that a bunch). Q. How much is the Adapter ring? A. The one that lets you use EF lenses is $99 I believe. There are two other adapters available — one that lets you drop in filters like a variable ND filter or a Circular Polarizer, but those don’t ship until Feb. 2019. Q. What about the batteries, and battery life. A. Thankfully, they went with the same batteries many Canon cameras already use (like the 5Ds, and the 70D, 80D, etc. ), and you get around 370 shots per battery. You can get a battery grip for a 2nd battery. A. $2,299 for the body. Q. When does it ship? A. Sometime in October of this year. One of the lenses ships as well, and the Adapter ring that lets you use the EF lenses, too. Q. Are you getting one? A. I have a loaner unit now, but if this past few days of shooting with it are any indication, I will have to get one when it ships next month, but this isn’t just a camera. It’s a new system, and a big step into the future for Canon and I really like where it’s going. Plus, the price is right. The new RF lenses are insane — Canon’s optics are brilliant, the new features of the camera are really compelling, and I love the images I’m seeing from it. That right there is really all that matters. The rest of the features may make using the camera more fun, or easier, or speed my workflow, and that’s all good, but at the end of the day, it’s the images — not the feature specs — that really matter. I saw some incredible images from this camera, and I took a few decent ones myself. I hope to have some to share after this week’s trip. Q. What if I use a different brand of Mirrorless camera. Should I write defensive things in the comments? Should I mention how it missing some feature that’s a deal-breaker for me? Should I do some light slot shaming while I’m at it? A. You don’t have to defend your choice of camera. Canon releasing a new camera shouldn’t threaten you. It doesn’t make a judgment about the camera brand you chose; it doesn’t make your current obsolete, or effect you and your camera choice in any way. Your camera is still just as good today as it was last week, and if this isn’t the camera for you, for whatever reason, lots of companies make different model cameras for a reason — not every camera is for everybody. I’m celebrating this new camera as a win for the future of photography. This is a birth of a new system, and Canon coming out with this, pushes Sony and Nikon and the whole industry to keep innovating and competing, and in the end…we all win. Our cameras get better, we get new innovative features like we’re seeing in the EOS R, and a rising tide raises all ships. Canon just helped raise the tide a bit more, and I’m digging the results. Q. So, is this going to be your new camera? A. I’m thinking this is my new camera. I have a loaner unit now, but if this past few days of shooting with it are any indication, I will have to get one when it ships next month, but this isn’t just a camera. It’s a new system, and a big step into the future for Canon and I really like where it’s going. I’m taking the EOS R with me this week to shoot landscapes out West (in the Golden Triangle), and then to Rome with me the following week, and then to Austria right after that. I got to shoot with it out in Maui, and so far it’s pretty darn close to a perfect travel camera. The images look very much like the images look from my 5D Mark IV (they share a similar sensor), which I love, but it has some features my 5D Mark IV doesn’t have, like a full flip-out touchscreen, which I fell in love with while using it mounted on my Platypod this week in Hawaii. Also, the control ring and touchpad on the back, along with a ridiculous level of customization of dials and buttons (more on this later). Plus, the price is so right. Lower than I was expecting. The new RF lenses are insane — Canon’s optics are brilliant, the new features of the camera are really compelling, and I love the images I’m seeing from it. That right there is really all that matters. The rest of the features may make using the camera more fun, or easier, or speed my workflow, and that’s all good, but at the end of the day, it’s the images — not the feature specs — that really matter. I saw some incredible images from this camera, and I took a few decent ones myself. I hope to have some to share after this week’s trip. A. It’s a dang good camera for the money. Dang good! You’ll see what I mean when it ships. It’s way better than you’re hearing from people who haven’t shot it, seen a print from it, or even touched it. I’m off to Vegas, to the Mirage (a planning trip for Photoshop World 2019), and then I’m off shooting landscapes in Utah and Arizona. Scott, why not one of the M series camera. Canon did show it some love announcing the new 32 1.4? I use the 7D II for sports and wildlife and carry my M5 everywhere else. It’s a great little camera. They have an adaptor as well. My wife has one and uses my L series lenses. JP thank you for pointing that out to Scott. I use my L lenses with mine to. I guess Scott does not support a lightweight crop system that takes great pictures. I’ve been a Canon user almost my whole life and I’ll take my M5 paired with my 18-150 for a walk around/vaction combo any day. Still love my DLSR but once you have a camera like the M series you’ll love it. I played around with my wife’s camera on vacation in Hawaii and for a vacation camera, I think it’s superb. So small and light compared to my large DSLRs. I wish they would support mirrorless with CPS. It’s tough for me to go to a body let alone an entirely new system without that support. My guess is – that will change one day soon. Maybe not for this body, which they consider a consumer body, but more bodies are to come. Thanks Scott. I always appreciate impressions on new cameras from people who actually used them, not just from the spec sheet. On the Grid I thought the exchange between Lindsay and the Canon rep about whether she would make the R her main camera was very honest. Never thought I’d see the day when you would use mirrorless. Glad Canon came up with one that changed your mind. Hi Scott,. I have a M50. Nice, light mirrorless which I might trade for this one. I’m wondering if the new one has the same annoying chill factor. When using my DSLR the image stays on the LCD screen for a second or two, but I can revise thru the viewfinder immediately. On the M50 it stays on the viewfinder for two seconds and I can’t stop it. I can continue to shoot, just not recompose. It’s this a problem with the new body too? Thanks for sharing your personal perspective. While I know and respect you, I won’t know if this fits my needs until I get to shoot one. On spec, it doesn’t but I have been pleasantly surprised before. One very minor thing, you refer to the EOS SR2, when I believe that you mean the EOS SL2. No biggie, unless someone takes your guidance and goes to try to find one. Thanks, Ross – I fixed it. :) It’s not the miracle camera, or anything like that, but it’s a really great start for Canon in the full frame mirrorless arena. It’s kind of like a mirrorless 5D Mark IV – not fully, but in that range. I do expect big things to come from Canon. Another thought: Most people think the Canon Rebel and like cameras work better through the viewfinder than Live View which used to be way too slow. But Peter Gregg ruminating about the Canon R brought up DPReview on the 77d. It turns out Live View is in someways better: https://www.dpreview.com/reviews/canon-eos-77d-review/6 . Surprisingly, the camera tracks better for stills in Live View than through the viewfinder and the stabilization of HD videos in Live view is also pretty good. I watched the grid and got a lot of good info, and appreciate you do that! I have a 7D MkII and I have some Canon lenses and Sigma Lenses. With the camera adapter, will it accept lenses for cropped sensors and from other suppliers like Sigma? Have a Great time in Utah and Arizona! Beautiful country. Look forward to seeing your photos from this camera! Hi, Dennis: I haven’t tried it myself, but a friend did, and it didn’t work. My understanding is, at this point at least, the adapter is matched to Canon EF lenses. Of course, that could be probably be changed with a firmware update, but not sure if that’s on Canon’s to-do list. Just not sure. Hi Scott, thanks for letting me know … I was hoping the answer would have been yes! :-) Like you said it might be worked on later. Appreciate you getting back to me. Have a Great time in Utah and Arizona! Can’t wait to see some photos! Scott, I remember a conversation we had a year or two ago about mirrorless cameras, asaI was looking into them and you said that you really weren’t sold on them (especially the EVF’s). They just didn’t fit into your type of photography(sports). I did wind up buying a Sony a6000, and love it for traveling and landscapes (because my Nikons can get heavy!). Nice to see that Canon could change your mind although I know this camera won’t be on the sidelines with you! I’m looking forward to seeing some of those landscape shots that you will take with it, here or on Instagram. Give us an update blog in the future! Don’t worry – only John is old. He’s the oldest living person in the Boston area. True story. well, it’s an old town anyway so he probably finds it comfortable anyway just the same. You’ve mentioned about images produced by combination of RF lenses with this camera has something special that words cannot effectively describe. If you happened to try out all four RF lenses, did you have images from any particular RF lens that spoke out more than others? I understand 24-105 and 50 will be available at the time of camera body’s release with the other 2 coming at the end of the year (from info provided by Canon Japan’s site). Both of them make good general purpose lenses but with distinctively different strengths. Which of the two lenses available at the time of camera release would likely showcase more of that special quality that you mention? I’d like to fall in love with images created by combination of R and RF – would like to hear your thoughts… thank you. I have followed mirrorless systems since their inception, trying both Olympus and Panasonic cameras, the leaders in the mirrorless movement. Unfortunately, neither of these brands fit the bill for this lifelong Canon shooter. I think Canon is missing the boat if it doesn’t focus on smaller and lighter. Why else would someone switch to a whole new system? For me, as a woman in my 70’s, my 80D + 100-400 II lens combination has become too heavy to easily handle. I switched to the Canon M5 + 18-150 M lens soon after it came out. Now there’s an advanced camera in a small package! Finally a mirrorless system that yields good quality images! I follow the mirrorless forums on DPreview and I know other aging boomers are looking for lighter and smaller too. Come on Canon, why can’t you put out a longer M lens? Other mirrorless companies have, why not Cannon. I’d like to see at least a 100-300. The EF-S 55-250mm STM should be a really nice companion to the M5. It’s small, lightweight, and optically surprisingly good. Thanks for the suggestion, Johannes. I’m going to look into this although it means getting the adapter too. Agree with your points,, while I love Canon, and trust my canons and am not giving up on canon gear anytime soon, I am happy shooting Fuji APS-C every day for the smaller lighter lenses plus compact mirrorless — Sony did not do it for me with their complex menu systems. And I did not want to invest in another series of incompatible Canon gear. Don’t care about dual slots so much but will wait for a gen 2 with IBIS for sure, Vs 20 years ago in my 30s, I am definitely looking to reduce the weight I lug around. Thanks for your comment, kns. I haven’t considered Fuji because I didn’t think they were a big player in the mirrorless world. Maybe I should do some more reading. What model do you have and with what lenses? Mostly use the X-pro2, love its ergonomics –But the X-T2 plus Fuji’s 100-400 has worked amazingly well for me for wildlife and birds etc. Its fairly big, yet lighter and smaller than my canon 70-200 2.8 or 100-400 II. Definitely not as fast but fuji’s af improves with every firmware update, and way way better than Sigma 150-600 contemporary for e.g. in terms of keepers( I have never been able to get the sigma to stay consistent on focus). 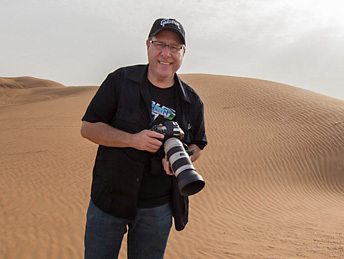 If I take only two lenses and one body– I take the 10-24 f4 and the 100-400 for nature. For sightseeing, family vacays I still keep the 10-24, and add the tiny 35f2 or my xf 56 1.2 which is heavy but amazing with people in the frame. I have fuji’s 2.8 zooms, but find them heavy for all day carry and not worth the weight to quality/reach for everyday use. The 10-24 gives me sharpness to rival Canon’s 16-35 f/4 (My 16-35 f 2.8 II was never as sharp corner to corner till f8 and I like Canons f4 better since I am not looking for astrophotog, I am waiting for the 8-16, but may save that for photo trips). Some of the lenses I mentioned are not weather safe, but I am not rushing out in the rain for snaps, and use a good bag. Scott Kelby AKA Canon Damage Control…good try attempting to put into question the real world feedback of users having issues with the camera but at least somethings none of your “sugar coating” can hide…no IBIS, limited high FPS features and 1 SD CARD slot and dont give me the crap that this is only for wedding photographers or that cards never fail…cause when Sony had 1 card, that was always one thing mentioned as to why it was not a camera a pro could use…well now the $2000 A73 has dual cards, IBIS, deadly fast AF, no ridiculous 4k crop and non crippled AF modes. The one good thing of the Canon is the articulated screen. Canon has been very consistent about the number of card slots. One for consumer bodies, two for pro bodies. They don’t claim that the R is a professional body. OTOH Sony didn’t used to have any two-slot bodies. Now they do, which is great. So you would rather have a poorer IS with IBIS instead of a better one with IS in the lenses on telephoto shots? I have the 5D Mark III and have never used the second card slot. Remember this is a first generation camera. It will get better over time. Remember Canon even says this isn’t a pro camera. It’s a consumer camera. It’s better to let the consumers use it first and then later release a pro model camera. Hi, Mark: Two card slots mean a lot to you – but you obviously will to endure a horrible menu system, poor ergonomics, and a camera many users have to fight with due to its complexity (I see it in person at my workshops). I’m not willing to trade a great menu system and a great feeling, easy to use camera for two card shots and video features I don’t use at all. Just my two cents. Goes to show that all cameras have their strengths and weaknesses. It just depends which deficits you can live with and which are dealbreakers. **Compared to other Canon Mirrorless offerings. Good post which reflects a lot of savvy, real-world rationale… anxious to see how it goes in shooting – and when you do some posts, can you make a few 1:1 raw->jpg files available please – some in low light, some in hot light ? thanks. Someone on a Dpreview forum said that he thought sending photos to your phone could compensate for having only 1 slot. I guess you might miss the last few shots if you didn’t notice something was amiss. I haven’t tried it, but I know this – most folks have less than 5GB free on their cell phone. Even if it works brilliantly, most folks won’t be able to shoot like that for long. That is true but for those who really want to use the camera for pro work and they need some kind of backup, they could get a 512 GB android just to serve as an off-camera backup. Sure, it’s not the same as second card, but it comes pretty close and it costs next to nothing compared to the camera and lens. I also think the whole thing about two card slots is blown out of proportion (as much as I love Tony Northrup). Thank you Scott for your informative and “real” discussion of the camera, it resonates with what I am looking for in a new system. I can’t wait to get my hands on it (currently still with my 60D waiting for an excuse to upgrade!). I think that people are complaining about the single card slot because similarly priced cameras have two card slots. It is the norm now in this price range. The same for IBIS on mirrorless cameras. There probably would have been less complaining if Canon promoted this as a consumer camera at the launch and priced it accordingly. No matter what, competition is good and I am glad both Canon and Nikon are finally in the mirrorless game! They did promote it as a consumer camera at the launch. Is a pro version coming perhaps? I find it hard to believe that anyone, either professional or enthusiast, can be comfortable in this day and age with a camera that only has one card slot. I really don’t care about “what used to be”. It’s available….it’s not expensive to add to a camera… yet it’s super important and not in there. I just don’t get Canon. Why can’t a company, any company, get it right? Speed, image quality, card slots, IBIS, Video quality, flippy screen… there all aware that these are major consumer concerns yet not one of them deliver! If you go camerasize.com and start comparing the Canon R to other cameras, it’s about the same size and weight as the Canon 80D, the Panasonic G5 and the Olympus EM-1 Mark II. Great write up. I know it’s too early to tell but is this your new travel camera or are you still sticking with 5D Mark IV. I just picked up the 5D Mark IV and can still return it and get the R instead. Decisions, decisions…(wait the R only has one card slot, just kidding). I’m more interested in the image quality. Looking at the specs and the initial reviews by you and others, this camera does not appear to be anywhere near a 5D IV replacement. Its more along the lines of a 6D Mark II. I am a little disappointed that they are already talking fixing bugs and adding features with firmware at a product launch. It tells me the product was rushed to market to have something to show at the Photokina show. It might be a good first showing for Canon users but it hardly has the features of other $2000 mirrorless products on the market. If they would have released this camera at $1500 to $1700 they would have a real winner but at $2300 not sure it competes. Even the M4/3 20mp Panasonic GH5 at $1795-$1995 is a lot more camera for the money. Especially when talking video capabilities. Based on the feature set, I would have expected an introductory price of around $2800 – $3000.